This site was originally formed in 2003 and depicts the construction of four complete suits of armour from the initial design stage through to the completed armour assembled for display. There are hundreds of images on the site detailing the step-by-step construction of the armour and I have tried to keep their file sizes small so the pages load quickly. 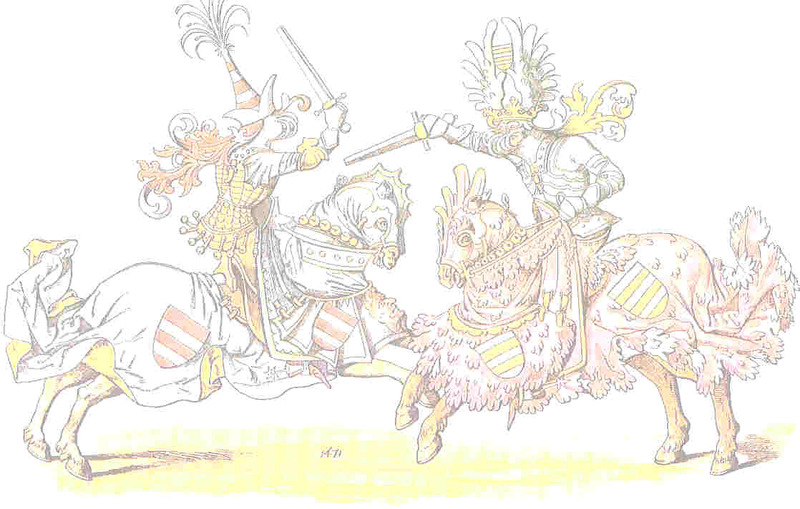 A Heraldry Section has been added to the site. This aims to show how heraldic design can be used in the present day both for decorative purposes and as architectural embellishment. Any questions do please contact me and I'll do my best to answer - or alternatively look on our FAQ pages. 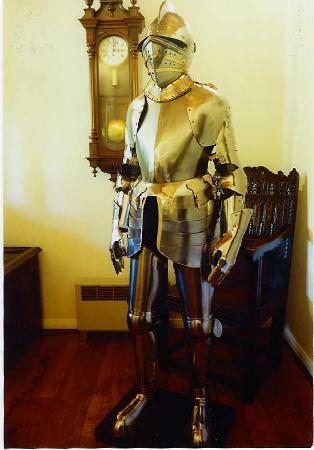 © 2003 - 2012 Armour Design. All rights reserved. Content not to be copied or reproduced without permission. The Arador Armour Library - a huge resource of information relating to period armour with emphasis on authenticity. The Armour Archive - an on-line Journal devoted to teaching people how to make armour. The College of Arms - England. 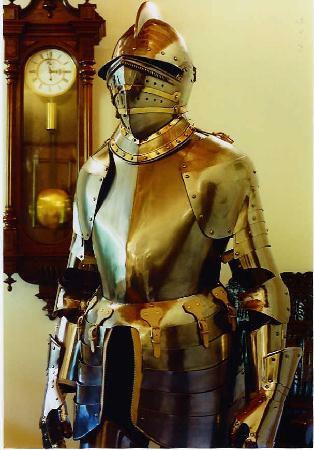 The Knight Shop - reasonably priced armour for re-enactment and display - UK. Medieval Arms - supplier of swords, shields and some pieces of armour.